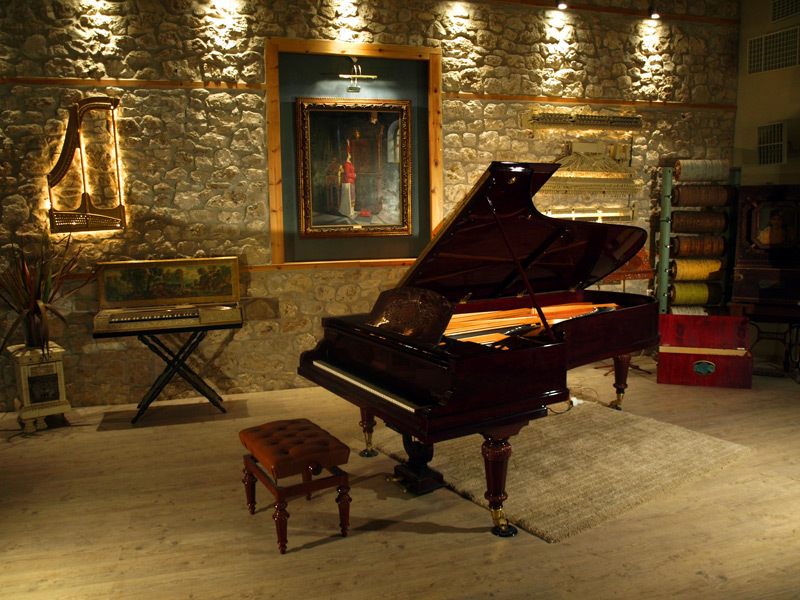 The regular piano service is not enough to keep piano optimum conditions for very long. It takes knowledge and common sense to decide when and how much to invest on rebuilding. A private piano will cost a fraction of a school or a concert piano and still we have to estimate exactly the steps to be taken. We are very cautious about old aged pianos and on financial logic. 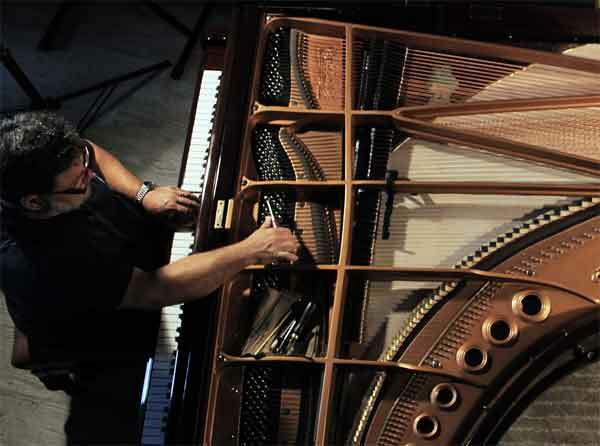 It does not make sense to proceed on extensive action rebuilding and have an efficient action on a “dead” piano with a flat, short and dry sound. 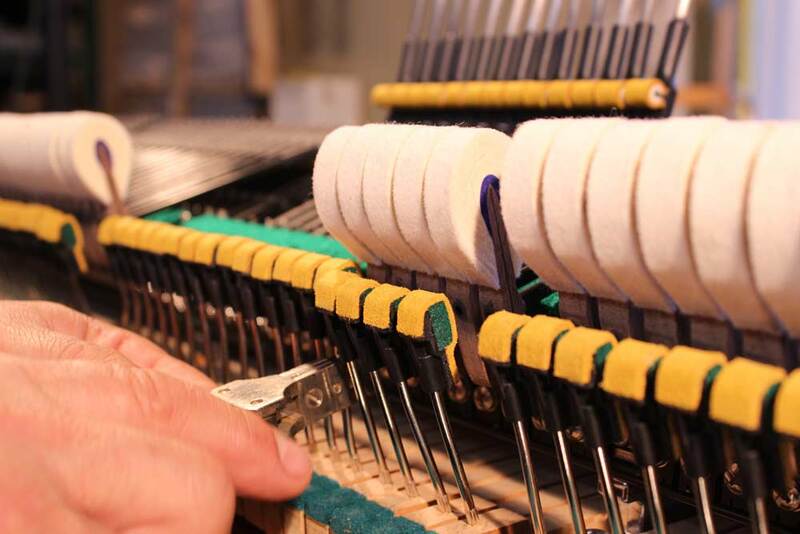 The acoustic part of the piano will need sounboard replacement, pinblock, bridges, belly work etc. which will escalate the cost. Actions can be regarded as four interactive systems: The keyboard-key frame-key bed system, the whippens, the top action (hammers, shanks and flanges) and the back action (dampers, underlevers, pedals). We prefer a holistic approach to action rebuilding. A good piano starts from a good key and hundreds of steps are followed up to hammer replacement and back action. If we skip a step it will cause a weak link and will definitely affect the whole. 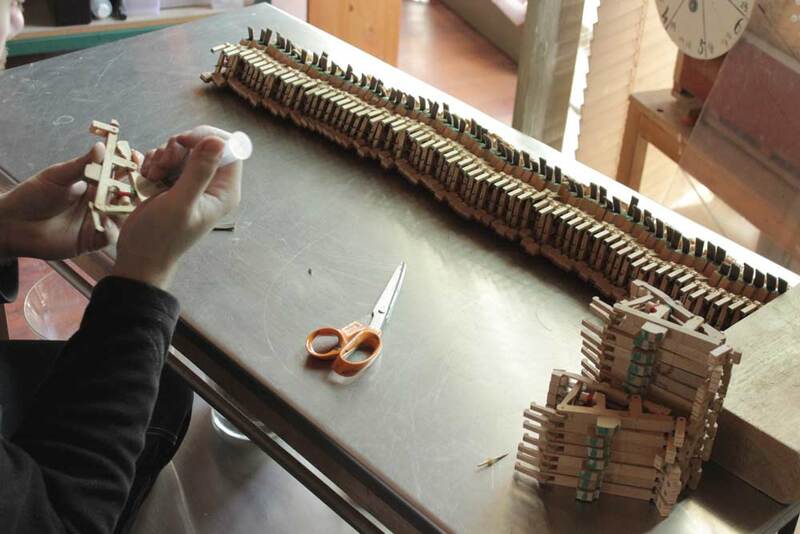 Therefore we chose to change everything except the wooden part of the key, the rails and aggrafes and the keyframe (on the handmade piano we redesign everything and order new frames, rails, keys etc). 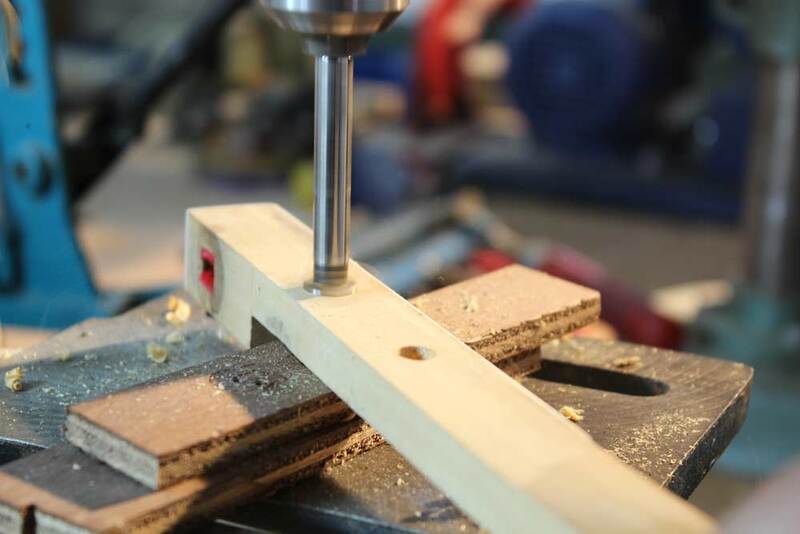 We strongly suggest the WESSEL, NICKEJ AND GROSS piano parts as we have tested them on comparison tests and believe they outperform most other, with the added benefit of stability and resistance to moisture variations, corrosion and wear. Our choice of keytops is mineral, bone or ivory. These tops make a difference to the artist’s fingertips in that they do not slip as they are porous and absorbing (the skin is “breathing”), and they do not collect static which can be really annoying to the pianist. For hammers we prefer cold pressed walnut core unshaped hammers with Wurzen (Weickert) felt. We want hammers with high lanolin content (unbleached with no acids) and between needle down and lacquer up density. Hammer weight is calculated and ordered on the new set and then carefully calibrated within 0.1 mm variations on adjacent hammers. We prefer to do all boring, tapering, tailing and coving. For keyframe pins and capstans we prefer anodized aluminum, for center pins and flyer springs stainless steel and for leather synthetic leather. 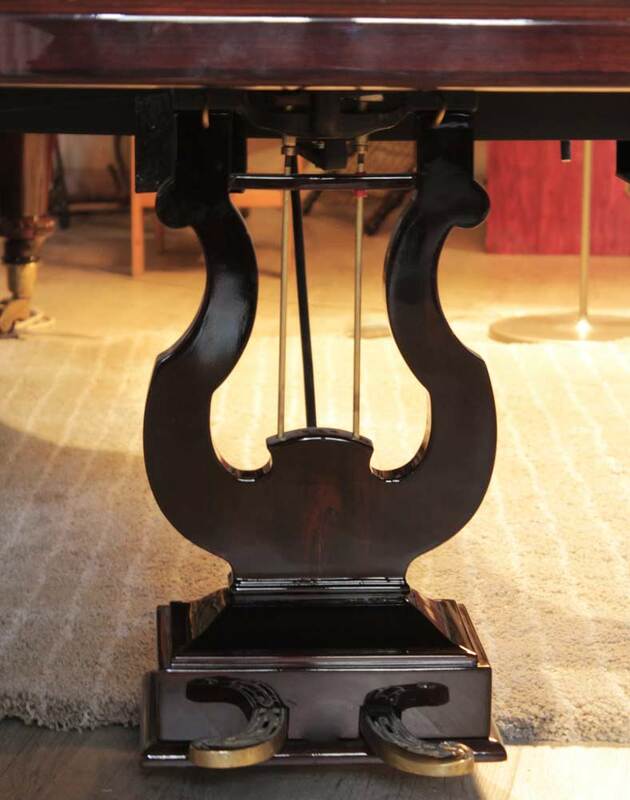 We install a third – sostenuto pedal whenever needed.